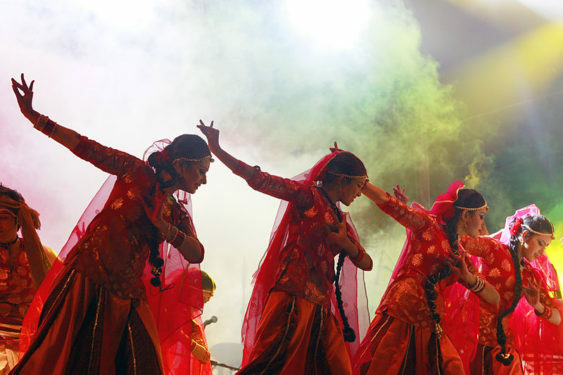 Fremont’s annual Festival of India showcases India’s rich culture and heritage with a wide variety of dance and food, and is attended by over 150,000 people every year for the past 25 years. 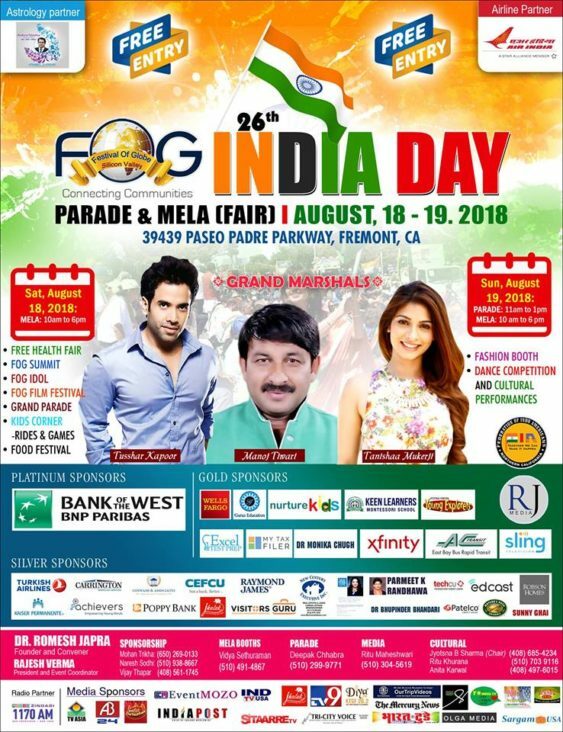 Don’t miss the glorious Grand Parade, celebrating India’s Independence Day with vibrant culture, dance and music as over hundred groups vie for the Bay Area’s best performance awards. Two day fair with over 250 booths and exhibits on products, services,arts, crafts, literature, fashion and design. Event highlights include a health fair, dance competition, “FOG Idol” and a food fest. The India Day Parade showcases an exhibition of culture, creativity, reflections and traditions. Witness the most glamorous and scintillating spectacle with famous Bollywood and Hollywood Grand Marshals riding in more than 100 open cars along with over 50 colorful floats.